2. Working for yourself is rewarding. Lester’s entrepreneurial skills started in middle school, when he raised sweet corn on his family farm. By high school, he had built up his herd of Black Angus cows to 20 and won local and state FFA entrepreneur competitions. “Farming planted the seed, and the FFA put a competitive side to entrepreneurism,” Lester said. After high school, Lester found employment in the construction industry but continued to pursue his entrepreneurial dreams. He bought his first backhoe at age 19 and worked for the construction company while building his own business, Joe’s Excavating, which installed septic systems and water lines as well as doing hauling and general excavation work. Joe and his wife, Amanda, knew they wanted to take their small business to the next level after operating for five years. 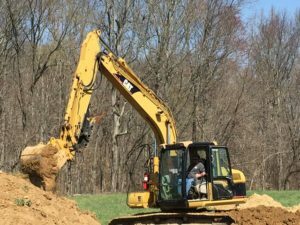 They sought out the assistance of Kentucky Highlands Investment Corporation to determine the best path for growth for their business, now called Lester Earthworks. They began working with what is now the Kentucky Highlands Innovation Center, which is part of the Kentucky Innovation Network. KHIC helped them refine their business plan as well as structure a financing plan that included a small business loan, which enabled Lester Earthworks to purchase the equipment it needed. 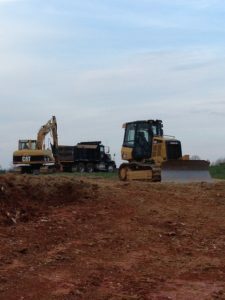 Lester Earthworks does mostly residential and smaller commercial work as well as custom farm work, such as building ponds and clearing land. Lester also has developed trusting relationships with homebuilders in the area and works with them to dig foundations, clear land, prepare for underground utilities and provide dump truck services. He hopes to continue his business growth by expanding into larger commercial and industrial projects.